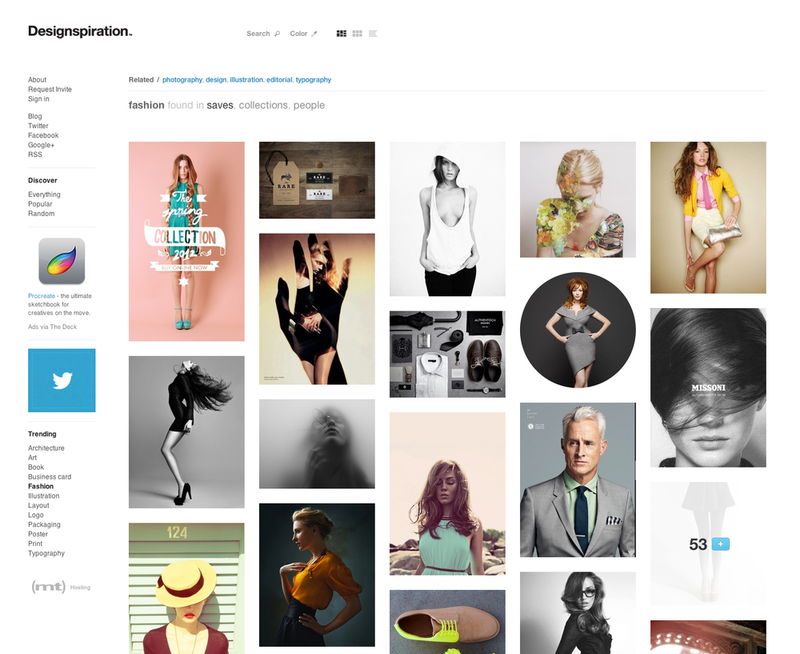 Not just another pin board site - Designspiration let's you search, share and discover design for every creative inspiration. Saving your own collections and searching by type comes as standard. But for a total visual feast, select up to 5 swatches from the picker and watch the results filter by colour. And for those that have Apple TV, you can create custom screensavers of all your creations with a Flickr account.